Solitude ski resort offers up turns a short drive from the SLC airport and all the city's dining and entertainment options. 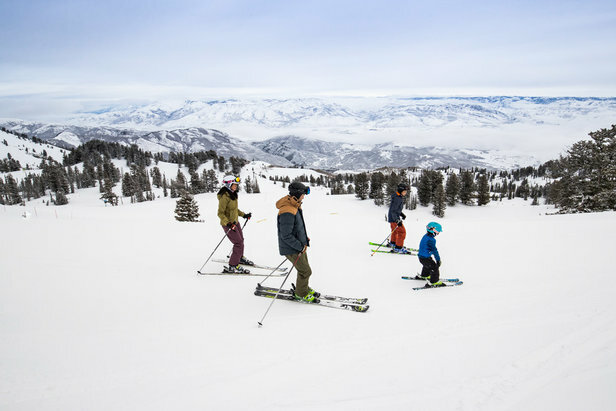 If you’re reading this article, then you’re probably wondering, “What’s beyond Park City?” The eponymous resort and its next-door neighbor, Deer Valley, are Utah’s best-known and most-lauded mountains, attracting thousands of skiers annually. And while Utah locals love the turkey chili at Deer Valley and Park City’s McConkey’s Bowl, we have other favorite mountains, too, depending on where we are, what we’re in the mood for, and who is coming with us. For world-class slopes without the congestion, Salt Lake locals make the short drive 45 minutes north to the bucolic Ogden Valley. Only in a state where there are so many great ski resorts could this place—with towns literally called Eden and Paradise—be hidden in plain sight. Home to the ritzy Snowbasin, venue for the 2002 Olympic alpine skiing events, family-friendly Nordic Valley, if-Austin-was-a-ski-resort Powder Mountain, and the new backcountry hideaway, Whisper Ridge, Ogden Valley offers some of the country’s best skiing, snowboarding, Nordic skiing, snowmobiling, snowshoeing, ice fishing and just about anything else you can think of in the most laid-back atmosphere. This area is a great choice for families and powder hounds looking for a place to connect with one another and disconnect from everything else. There are fewer restaurants than its urban or trendy cousins, and the best nightlife is viewing the cosmos at North Fork State Park, an IDA-accredited International Dark Sky Park. 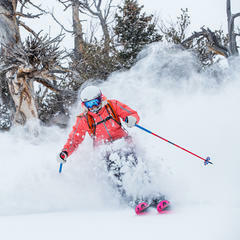 But Utah’s oldest bar, The Shooting Star Saloon, and one of the state’s premium distilleries, New World, are nearby so that folks from all over can swap tales of who had the best run of the day. The ritzy Snowbasin, venue for the 2002 Olympic alpine skiing events, is nestled in the less crowded Ogden Valley. If you want a more romantic getaway complete with skiing, hiking, dining and even film screening options (ahem, honey, if you’re reading this before Valentine’s Day...), then Sundance Mountain Resort near Provo is a great choice. 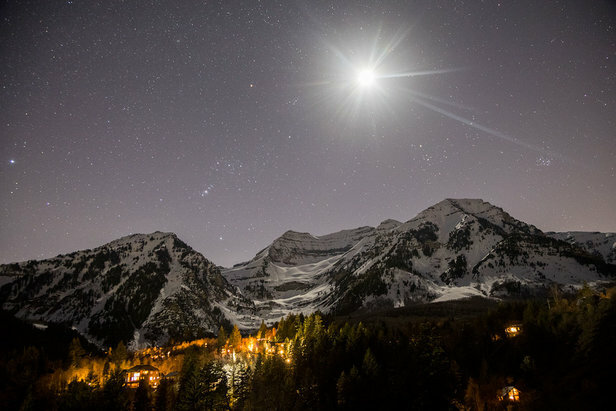 Perched on the back of Mount Timpanogos, the giant, flat-topped behemoth is visible from as far away as Park City and the Cottonwoods. Sundance is an intimate ski resort featuring a base area surrounded by trees, ponds and cabins (and great food and wine) that absolutely define “rustic elegance.” Yes, the skiing is great, too, but Sundance is so ridiculously beautiful, you’ll be blown away just riding the lift. 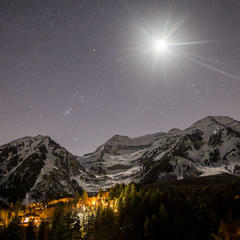 If you want a more romantic getaway complete with skiing, hiking, dining and even film screening options, then Sundance Mountain Resort near Provo is a great choice. For those who want the best snow in the West but are overwhelmed by… everything, then let go and live like a local. The Salt Lake City metropolitan area is home to almost a million people who work, learn, eat, drink and play here—and not necessarily in that order. After dropping the kids at school, parents sneak in a few runs at Snowbird, Alta, Brighton and Solitude (no, of course, no one tells the kids), enjoy a great meal at The Copper Kitchen, head to the Opera, grab drinks at Prohibition, ice skate at Gallivan Center and then crash before doing it all again (yes, this is the most ridiculous lifestyle). 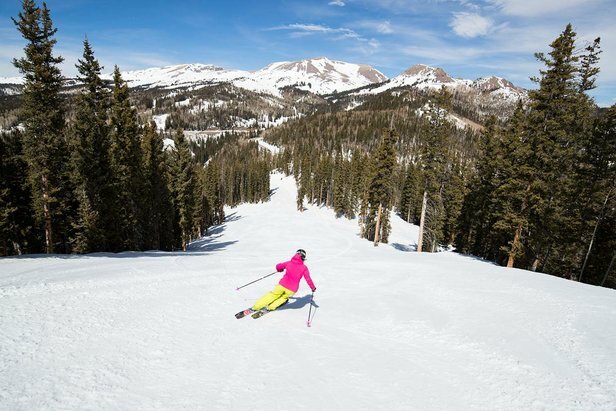 Located in Big and Little Cottonwood Canyons, these resorts are the closest to SLC airport, a Delta Air Lines hub with direct flights to everywhere. Even haters agree the Cottonwoods have the deepest snow and the longest season. And with ski-in Airbnb and hotel options all over the metro area (time to cash in those Marriott points), lodging is plentiful and very affordable. This is the turnkey, last-minute, I-can’t-believe-I-didn’t-do-this-before vacation and also how many decide to move to Utah (if you’re scrunching up your nose thinking, really? then you obviously haven’t been here). 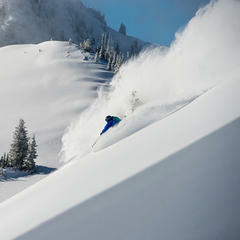 It's not hard to see why Alta is a locals' favorite. Want to ski and do a lot of other things? Then look to Southern Utah, home to Brian Head and Eagle Point resorts as well as Zion and Bryce Canyon national parks. Only three hours north of Las Vegas (which often has the cheapest flights of anywhere, anytime) or four hours south of Salt Lake, these resorts make the most of the region’s otherworldly terrain (seriously, the place looks like the set for a sci-fi movie). What many visitors don’t realize is that Brian Head’s summit is over 10k feet, making it one of the highest ski resorts and base areas in the state and the beneficiary of southwestern storms (read: powder). Southern Utah is home to Eagle Point ski resort as well as Zion and Bryce Canyon national parks for a ski trip with extracurriculars. Coupled with the nearby desert oasis of St. George, Southern Utah is a popular warm-weather destination for golfers, hikers, mountain bikers and sun lovers of all ages (skiing + golfing + hiking in one day = The Utah Hat Trick). 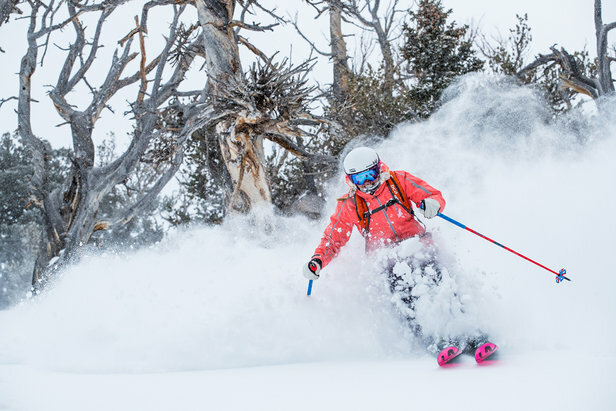 Salt Lake residents routinely head to St. George for a weekend to thaw out but can’t resist the great skiing and BBQ at Brian Head or the legitimately undiscovered slopes of Eagle Mountain on the way home. So, if you can’t decide or can’t agree on what to do for your holiday, then choose Southern Utah and make everyone happy. The bottom line is that before settling on a destination, think about what type of experience you, your family or friends dream about. Utah has choices to fit everyone, every timeframe and every budget. 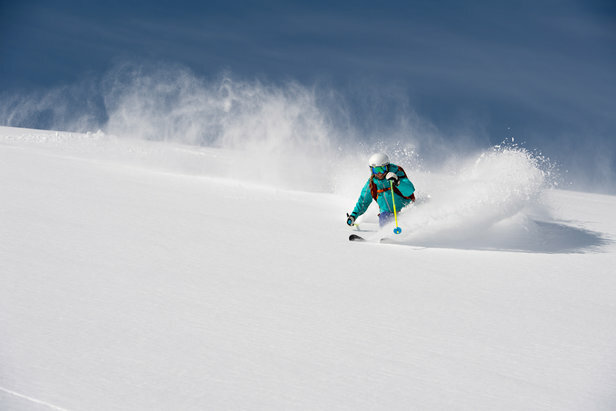 If you need more inspiration and itineraries (yes, actual itineraries), check visitutah.com for ski planning tips and articles. Sorry, it doesn’t have home listings. 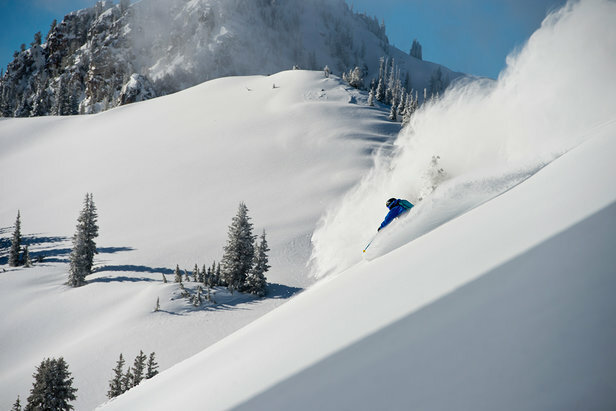 Tips and tricks for how to save on a Utah ski trip (or two) this ski season.